Which Dietary Craze Reigns Supreme? It seems like every week a new diet craze is on the rise. Whether it’s a new cleanse, a celebrity touting the health benefits of apple cider vinegar, or following the latest superfood trends, it can get pretty confusing. What the heck should we eat? 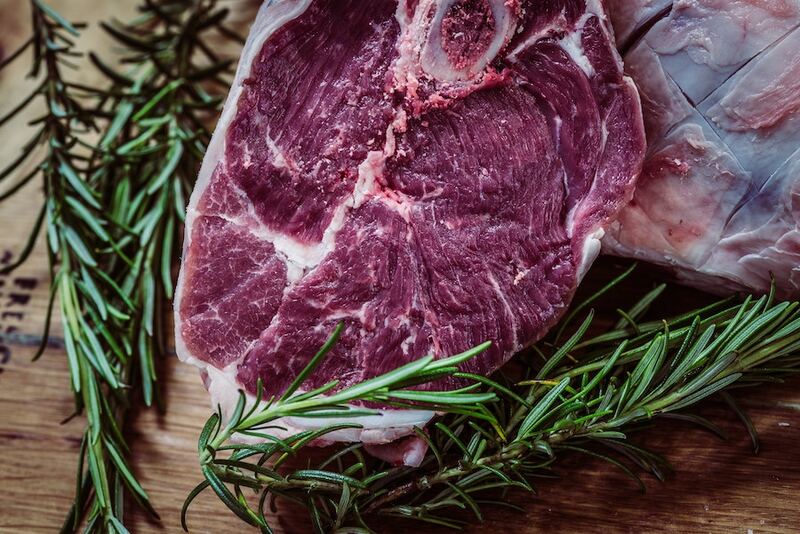 You should eat paleo – lots of meat. Wait, this documentary said meat is bad – just eat vegetables and grains. Crap, carbs are evil – eat only fat. Actually, don’t eat anything at all – our body needs to fast. Good grief! We’re ready to clear up some of the confusion. 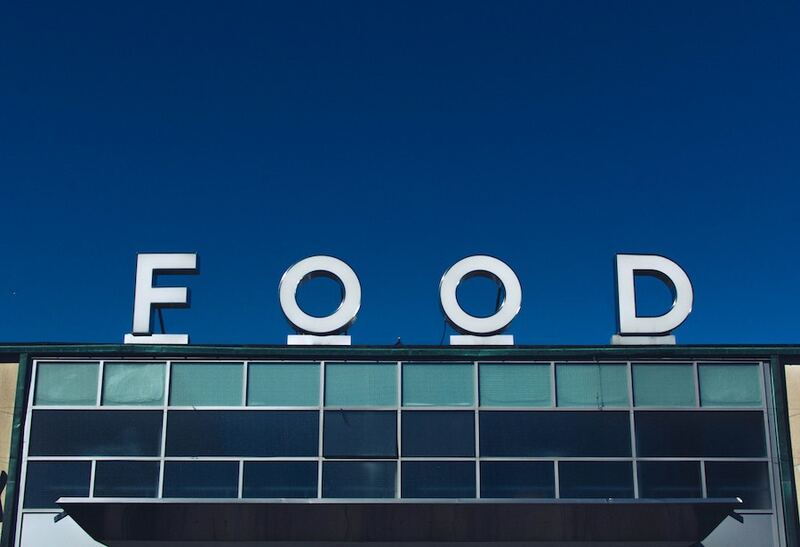 First, what are the popular diet crazes? Diet trends ebb and flow. In the past 5 to 10 years, the most popular diet crazes have included everything from the health benefits of apple cider vinegar shots to blending butter in your coffee. 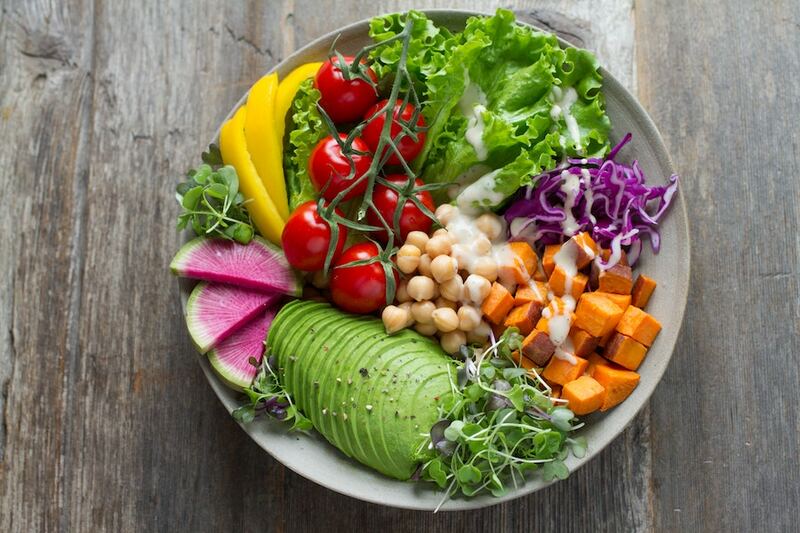 But the three main diets that we believe have had the biggest trending searches include: the ketogenic diet, the Paleo diet, and a vegan/plant-based diet. Let’s weigh the pros and cons of each. The ketogenic diet is a high-fat, very low-carbohydrate diet. Carbohydrates are the body’s usual energy source. By limiting carbohydrates to less than 10 percent of total calories, your body has to switch to a different source of energy. During ketosis, the body will pull fatty acids from your fat stores and take them to the liver for processing. The liver turns these fatty acids into a byproduct called ketones (1). Your body can then use these ketones as energy. Fat keeps us fuller, for longer. Since the ketogenic diet is a very high-fat eating pattern, many people feel their appetite and cravings are more controlled on this diet. The ketogenic diet may even suppress a hunger hormone in your body, called ghrelin (2). This is unlike most other diets, which usually cause an increase in your hunger hormones! You will probably lose weight. New research is emerging for using the ketogenic diet for weight loss. Many studies show that it can significantly reduce your weight, body mass index (BMI), and waist circumference (1,3,4). Three large research reviews looking at over 71,000 total people even found that the ketogenic diet led to more weight loss than a traditional low-fat diet (3-5). It may significantly reduce diabetes and cholesterol lab values. If you’ve been following along with us, you know that we are huge supporters of “inside health”. Health isn’t just about weight. Calming inflammation and insulin resistance in the body has huge effects on your health regardless of the number on the scale. 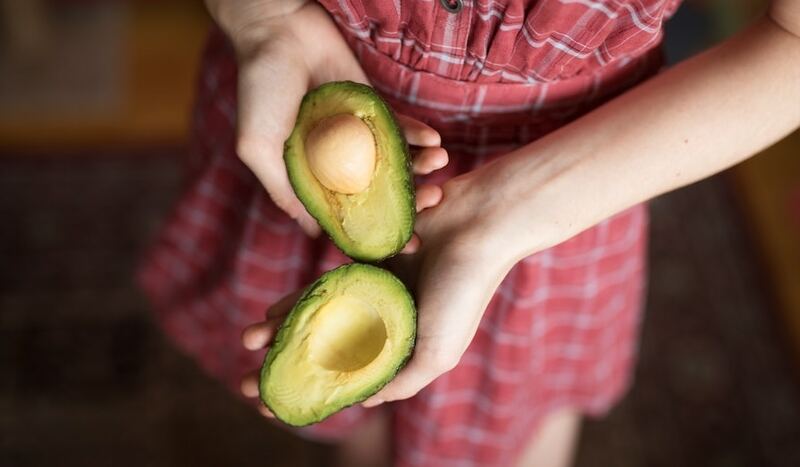 The ketogenic diet has some new promising research on reducing blood sugar lab values, lowering cholesterol numbers, and raising the heart protective HDL cholesterol (4,6,7). One study even showed that the ketogenic diet could reduce an inflammatory protein called CRP in the body, too (7). May be hard to follow. The ketogenic diet can be tricky to follow. The carbohydrate restriction is very low, so much so that even eating a large apple one time per day may throw you out of ketosis. Tracking your percentage intake of carbohydrates, protein, and fat may be necessary at first. Many keto advocates also support aspects like the health benefits of apple cider vinegar to aid ketosis, which isn’t everyone’s favorite flavor to say the least! The ketogenic food restrictions also make social events, barbeques, and family gatherings harder to navigate. It often misses the veggie mark. You’ve probably seen the pictures on Instagram – a ketogenic dinner plate which just includes a big ole steak with 3 slabs of butter on top. A common misinterpretation of the keto diet that you don’t have to eat vegetables. Although starchy vegetables are restricted on the ketogenic diet, many vegetables like leafy greens, asparagus, cauliflower, and zucchini are lower in net carbohydrates. These veggies provide a lot of vitamins, minerals, and antioxidant benefits that you can’t get from meat and fats. Not to mention – the fiber in veggies obviously help keep your gut healthy and regular! The Paleo Diet reportedly mimics that of our hunter-gatherer ancestors. Dr. Boyd Eaton was one of the first to bring this topic to life through his famous research paper on paleolithic nutrition (8). Dr. Eaton argued that cereal grains and dairy foods were rarely eaten (if at all) by our hunter-gatherer ancestors. Dr. Loren Cordain, professor and researcher on ancestral health, then published his book “The Paleo Diet” which eventually gave rise to this popular diet craze. The official Paleo Diet eliminates cereal grains, dairy, legumes, refined vegetable oils, potatoes, salt, processed foods, and refined sugar (9). Glycemic means glucose in the blood. Your body breaks down carbohydrates to produce glucose for energy. A low-glycemic diet avoids foods that will rapidly spike your blood sugar – such as breads, pastas, rice, refined sugars, and some fruits. Avoiding these foods, as such with the Paleo diet, may improve your blood sugar, satisfy your hunger for longer, and aide in weight loss (10-12). The Paleo diet encourages lots of non-starchy vegetables, nuts, seeds, and fish – all of which have great anti-inflammatory benefits for our bodies. Paleo also discourages refined vegetable oils (like corn and soybean oil), which are high in an inflammatory fat called omega-6. Limiting omega-6 fats may improve our heart health, reduce inflammation, and lower our risk of other inflammatory diseases (13). A Paleo diet restricts “refined sugar”, but allows honey, 100% maple syrup, and coconut sugar. This has created a new market for “Paleo junk food”. Pastries, cupcakes, and cookies made with these sugar alternatives are stamped Paleo approved along with a corresponding price jump. Although these sugar sources may be considered lower-glycemic compared to cane sugar, too much of any sugar is not beneficial for our inside or outside health! You don’t know my mama! But seriously, one con of the Paleo diet is that it generalizes all of our ancestors into one clump. While hunter-gatherers obviously didn’t have access to processed foods and refined sugars, how do we know that they all ate the same? It would seem that the foods our ancestors ate probably largely depended on their location, access to certain foods/climates, and various traditions. The vegan diet (also commonly known as “plant-based”) has grown tremendously in popularity the past few years. A vegan diet eliminates any food that comes from an animal (beef/chicken/fish, eggs, and dairy). This is different from a vegetarian diet, which sometimes includes eggs, fish, and/or dairy products. It’s loaded with fruits and vegetables. Most vegans eat significantly more fruits and vegetables than omnivores, i.e. meat eaters (14). As a result, vegan diets are usually higher in nutrients like dietary fiber, magnesium, folic acid, vitamin E, and vitamin C (14). We know that optimizing these vitamins and nutrients are important in helping our body reach peak function! A vegan diet may help fight disease. Higher intake of vitamins, minerals, phytochemicals, and antioxidants likely all play a role in reducing disease risk on the vegan diet. Research shows that a vegan diet may lead to lower cholesterol, blood pressure, and a reduced risk of heart disease, and even certain cancers (14). Eliminating animal foods makes it tough to get certain nutrients. Vegans are at a higher risk for vitamin B12, zinc, vitamin D, and iron deficiencies or inadequate intake (14). For instance, vitamin B12 is only found in animal foods. So, those on a vegan diet must supplement with a B12 vitamin, and eat foods fortified with B12, like nutritional yeast or soy milk. Non-animal foods do contain iron and zinc; however, these plant-based sources are not as well utilized or absorbed in the body. Although not impossible, a vegan diet does take a little extra work and research to make sure you are meeting all of your nutrition needs. The omega-3 fats may be lacking. Compared to non-vegans, people on a vegan diet tend to have lower blood concentrations of two important fatty acids: EPA and DHA (15). These two types of omega-3 fats are important for brain health, lowering inflammation, and much more. Fish and eggs are the best sources of these fats, which are eliminated on a vegan diet. Although your body can convert another type of fat, called alpha-linolenic acid, into EPA and DHA, the conversion rate is very low and inefficient! Which one of these dietary crazes is best? The best diet is the diet that will work for you – physically, emotionally, and sustainably. The major problem with these diet crazes is that they do not consider individuality. Our bodies are all different. What works well for one person’s body and lifestyle may not work well for someone else! Perhaps you feel significantly better on a ketogenic type of eating pattern and love the health benefits of apple cider vinegar. Or maybe, you feel your best on a predominantly plant-based diet, where animal products are limited. No two bodies are the same! So, the answer to the question, “which dietary craze reigns supreme” is basically: it depends. Right now, you’re probably thinking: wow, super helpful, thanks guys 🙄. But, wait! We got you girl – keep reading. The 131 method helps you figure out the “it depends” part. We don’t refer to 131 as a “diet” because it is NOT a one size fits all approach. This method considers the beautiful individual nature of your body. Through a method called phasing, we guide you through various eating patterns that help you figure out which one works best for your body, your mind, and your lifestyle. Let’s find lifelong health together!